APR’s Engineering Team has finished final testing of a new ECU Calibration for APR’s 2.0 TSI K04 Turbocharger Systems. The results are an additional 65 hp and 73 lb ft of torque! APR’s Engineering Team has finished final testing of a new ECU Calibration for APR’s 2.0 TSI Stage III Turbocharger Systems. The results are an additional 65 hp and 75 lb ft of torque. Simultaneously, APR presents a road course mode available through EMCS exclusively for the 2.0 TSI Stage III that provides a similar torque delivery profile to APR’s original ECU Calibration as included in the Stage III System. 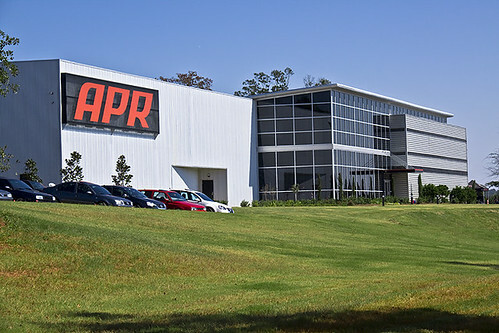 APR is pleased to present the 11th annual BBQ and Customer Appreciation Day at our purpose built engineering Performance Campus on October 8th in Opelika, AL.